Picture this: You're checking out a product online and run across two businesses that provide it. One site is beautifully designed. One's fairly plain. Given only 15 minutes to read about the businesses, where do you choose to spend your time? If you chose to read the content on the beautiful page, you aren't alone. According to Adobe, two-thirds of people would make the same choice. And because design so greatly influences how we move through a website, it also influences conversion rates. Your visitors won't convert if they don't spend any time learning about your business. To ensure your prospects are moving through the funnel, your site needs to be beautifully designed. Here's what to avoid. It's crucial that your designers embrace simplicity in an effort to make your site both understandable and aesthetically pleasing. Think of your screen as an attention span. Design choices need to divide and unite that attention in the right places, and, ideally, not divide someone's attention such that they're distracted from your message. Consider the way imagery, for example, can divide attention. It's common to look at faces first when they're in our field of vision. Poor placement of an image of a person could steer your visitor's eye away from the conversion point. Similarly, what would happen if you included five or six separate calls-to-action on one horizontal line? How would your visitors know where to go next? It's best to give your user only a few choices to make per page and avoiding crowding multiple elements all together. That spared decision making will help the narrative of your site page stay clean and compelling. And when it comes to moving your visitors through the funnel, nailing the narrative is invaluable. Visitors should always have a sense of why they are where they are, both from an emotional standpoint (why do I need to be here?) and from a usability standpoint (how did I get to this page and how do I get back?). Over-designing can distract them from the narrative and from their own perspective, as well as from potentially completing the conversion, which is the overall goal of the site. The major loss from inconsistency is trust. If your site's behavior is inconsistent or unexpected, your visitors won't stick around. Imagine you were scrolling around a website and every link showed a slight animation when you scrolled over it. Except something you expected to be a link. That slight inconsistency could deter you or distract you from moving forward. If your visitors quickly land on a page with significantly different branding from your homepage, that can also create a loss of trust and cause confusion. They might wonder why they're on that page at all, and consequently, leave. If you don't optimize your site for mobile, you're missing out on a massive audience. If your site reads poorly or doesn't load on my tablet, I'm not going to keep scrolling until I find your CTA. I'm definitely not going to fill out any forms on my smartphone unless they're perfectly optimized. Because of this built-in bounce, as well as because you don't want to produce the inconsistencies we discussed before, it's unacceptable to forgo extensive testing. Not testing is, in itself, a site design mistake. This last design mistake is really the most important. Instead of trying to be everything to everyone, design for your personas. Remember that each screen is like your visitors' attention span. You know where your persona's attention should focus, because you know what they're trying to accomplish by visiting your site. So help them accomplish it! For each page, try to momentarily ditch any opinions on aesthetics and instead read the content from your persona's standpoint. See if the page design helps them meet their goal. Ultimately, keeping your personas top of mind means you can't design for politics or for yourself. You can't prioritize based on internal desires or even feedback from your marketing team. Instead, prioritize based on user needs, and find ways to help solve their problems. Find a designer focused on that, and you'll breathe new life into your conversion rates. 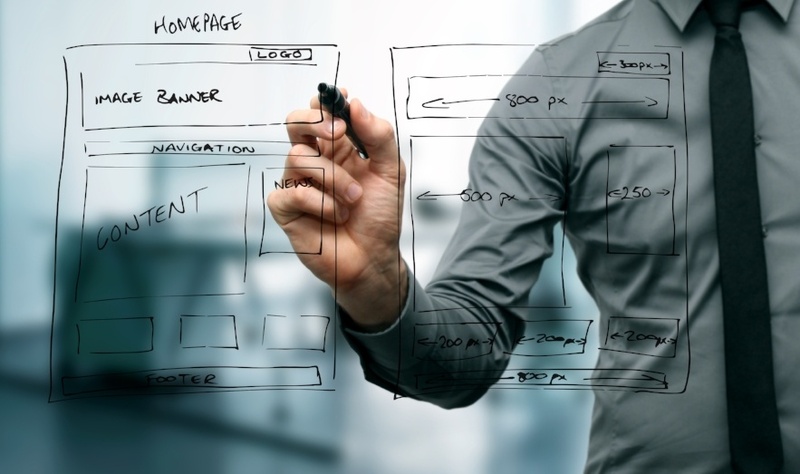 Establishing a design-forward B2B website is a matter of avoiding these common mistakes and focusing on your personas' goals. When searching for your design team, look for clear examples of this mentality, as it's vital that you trust your designers' commitment to your persona's end goal. To that end, consider hiring a design team with proven conversion rates. If you choose to use an in-house design team, and that team doesn't yet have proof of increased conversions, consider using this opportunity to allow for A/B testing that can help them get there. And as you go down the path of designing for better conversions, consider this: What are your main concerns when you visit websites? Are those your same concerns as you build them?